Following on from our inaugural Vine Aid earlier on in the year we are going to hold a regular event in December each year, Vine Aid Christmas in the Vines! Live Music & Entertainment on the Riverway Homes Stage, BBQ, Spit Roast, Chicken Racing, Christmas Bring and Buy Sale, Father Christmas, Bouncy Castle, Candy Floss, Pop Corn & everything Christmas! A none profit charity event organised by the Vine Aid Charitable Trust with all proceeds being split between three local community groups. We are grateful to Bob and Julie Neville for their support for the Tongariro River Trail project. A Festive Hello from River Vineyard and Restaurant Turangi! 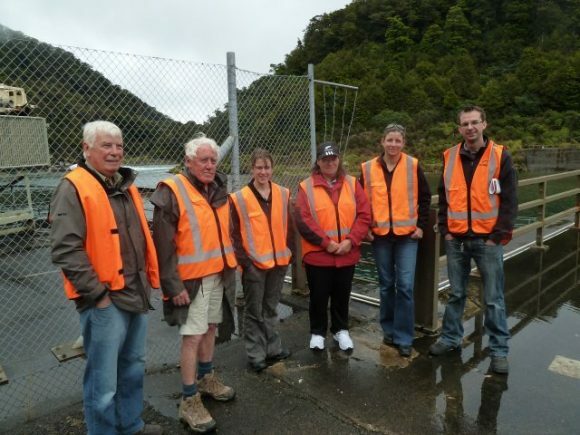 Committee members, Virginia Church, John Wheeler, Eric Wilson and Neville Young visited the Rangipo Dam with Genesis staff members, Bonny Lawrence, Environmental Manager, Neil Jelley, Hydrologist and Charlotte Fletcher, Environmentalist on Monday 5 December 2011. We had a frank, informative discussion. We visited because we have raised the issue of severe sedimentation in the river downstream of the State Highway 1 bridge (SH1). We asked if the cause was the discharge of sediment from the Rangipo Dam and Genesis was keen to show us the workings of the Rangipo Dam and make the point that the operation of the Dam is not responsible for the sedimentation we have seen. So where has the sediment come from? 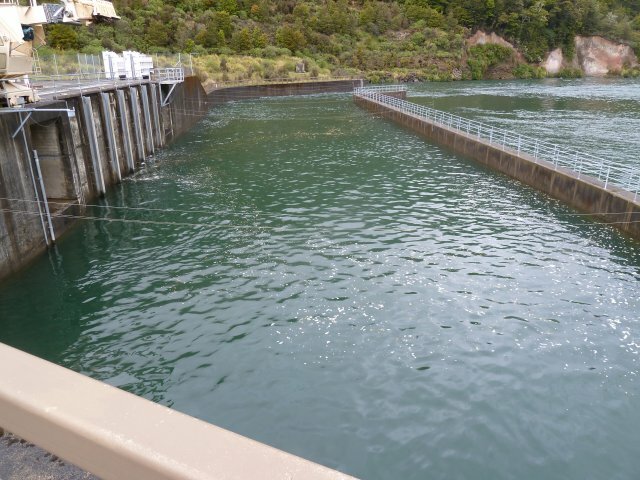 In January 2011 cyclone Norma dumped torrential rainfall in this usually low rainfall area moving a huge amount of sediment in the Whangaehu and Tongariro catchments. the river previously had a gravel bottom to the point of entry to the Lake and was deep enough to allow boats with a reasonable draft to go upstream as far as the Downs pool. the problem is made worse by a lake level that is higher for longer than pre control gates (Not a Genesis issue). that from SH1 bridge downstream the area is a delta which is a developing landform and as such grows from deposition of sediment which is what we are seeing and that if left to its own devices given the existing flow level and lake level the river will open a new mouth to the lake. Currently this looks like it will flow through Deep Creek and enter the lake alongside the Tokaanu tailrace. that if there was no Hydro scheme on the river then this would still happen. As such it is a community issue as to what should happen in this section of the river. Let the river behave as it wants to or intervene. I can’t blame Genesis for the Mt Ruapehu eruption nor for cyclone Norma. I do accept that most sediment is carried in times of flood. I also accept that the Rangipo Dam has an insignificant impact on the deposition of sediment that I have seen in the river. 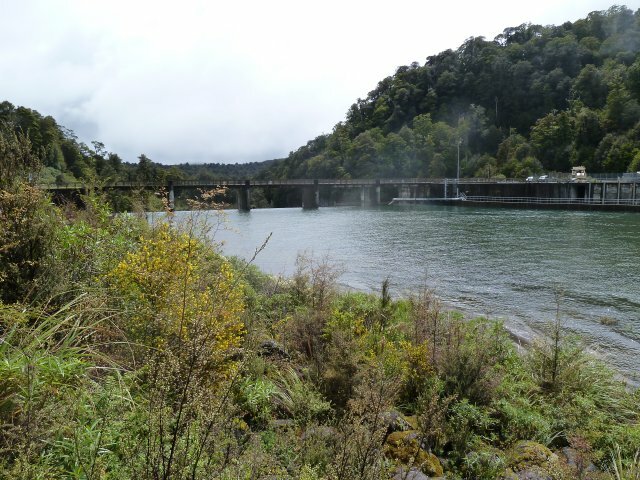 Genesis have offered to bring Graeme Smart to Turangi for a public meeting to explain the processes that are happening on the river and to discuss the implications and consider a desired community outcome. Report Protecting NZ’s Rivers released. The report sets out the issues facing our rivers. It is well worth a read.